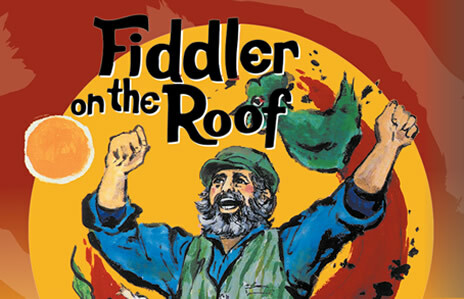 The Hannibal-LaGrange University Theatre Department will be presenting three performances of Fiddler on the Roof April 7-9, at 7pm in the Parker Theatre of the Roland Fine Arts Center. Winner of nine Tony Awards when it debuted in 1964, Fiddler on the Roof is the brainchild of Broadway legends Jerome Robbins, Harold Prince, songwriters Jerry Bock and Sheldon Harnick, and book-writer Joseph Stein. Touching audiences worldwide with its humor, warmth and honesty, this universal show is a staple of the musical theatre canon. Set in the little village of Anatevka, the story centers on Tevye, a poor dairyman, and his five daughters. With the help of a colorful and tight-knit Jewish community, Tevye tries to protect his daughters and instill them with traditional values in the face of changing social mores and the growing anti-Semitism of Czarist Russia. Rich in historical and ethnic detail, Fiddler on the Roof‘s universal theme of tradition cuts across barriers of race, class, nationality and religion, leaving audiences crying tears of laughter, joy, and sadness. Cost for admission is $9 a ticket in advance and $10 per ticket at the door. Admission for seniors 60+ is $8. For groups of 10 or more, admission is $8 per ticket. To reserve tickets, please call the theatre box office at 573-629-3182. For more information about this event, please contact Sabrina Brookshire at 573-629-3170, or via email at sabrina.brookshire@hlg.edu.